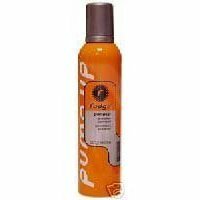 Pump it hard and fast for hair that just needs a kick. This styling foaming gel transforms from a gel to a foam in the palm of your hand for hair types that need a little volume, body and bounce. Provides firm hold, and volume and style support.